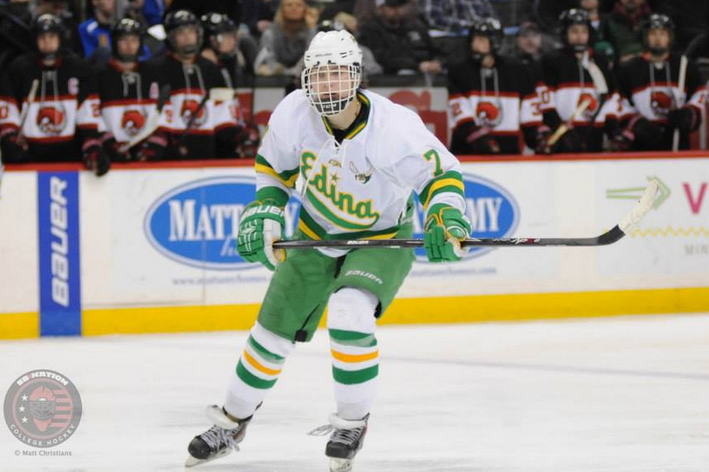 Freshman Jack Eichel scored a goal and assisted on four others as Team USA routed Finland, 9-1, at National Junior Evaluation Camp in Lake Placid, N.Y. Eichel assisted on Team USA’s first three goals before scoring himself midway through the middle period. His final assist came on a slick faceoff move in the third period. In the two games since initial squad cuts were made, Eichel leads the team in scoring with eight points. Team USA’s next game of the evaluation camp is tomorrow against the Czech Republic at 1 p.m.
On Wednesday Eichel assisted on three goals as Team USA thumped Sweden, 7-1, at Junior National Team development camp in Lake Placid. The right-shot center from N. Chelmsford set up the first two goals on power plays and nearly had one of his own on an individual rush. ● CHN feature: Eagles and Terriers Living Together? ► The U.S. National Junior team will practice at BU’s Walter Brown Arena in December, before taking on the Terriers in an exhibition game on Friday, December 19, also at WBA. 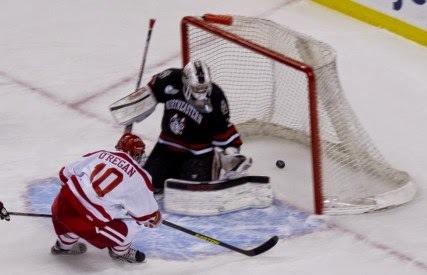 BU junior forward Danny O’Regan, the top Terrier scorer as a freshman, talked with the Needham News about his goals for a bounceback season, his move to right wing and his chemistry with Robbie Baillargeon, who earned Hockey East All-Rookie honors last year. 2016 recruits Hank Crone (top) and Kieffer Bellows (bottom) have arrived in Germany with the U.S. Select 17 squad that will compete in the Five Nations Tournament in Crimmitschau next week. The team practiced this past week in Arlington, Virginia, for the event that includes teams from Switzerland, Slovakia, the Czech Republic and host Germany. 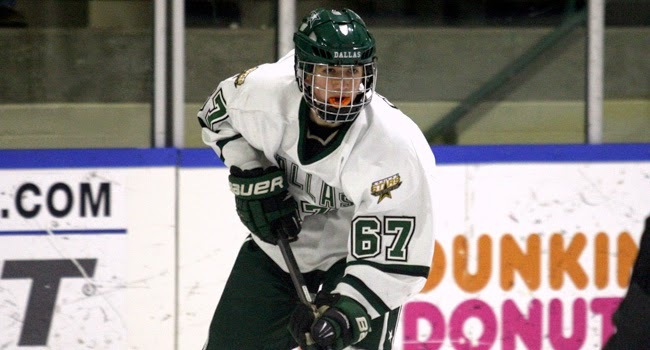 Crone, who will play for USHL Omaha next season, and Bellows, who returns to Edina, Minn., high school, earned spots on the roster with strong efforts at the recent USA Hockey Select 16 festival in Amherst, N.Y.
Two former Terriers are on Team USA's staff for the Five Nations event: Ken Rausch, a member of the 1995 national championship team, is general manager, and Clark Donatelli, who went on to play in the NHL and in the 1992 Winter Olympics, is an assistant coach. 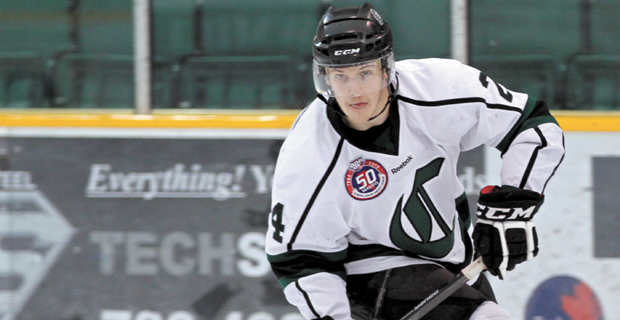 2015 recruit Sean MacTavish, who rang up 72 points (28G, 44A) last season for AJHL Sherwood Park, will skate for the Waterloo Black Hawks this season, who made him their top pick in Phase 2 of the USHL draft. A right-shot center, the Edmonton, Alberta, native will miss the early part of Waterloo’s training camp with a back injury. My NHL Trade Rumors revisits the 2011 trade that sent Kevin Shattenkirk from the Avalanche, who had made him a first-round draft choice, to St. Louis, where he has developed into a standout and earned a spot on the U.S. Olympic Team. Seven Terriers—six current players and last year’s captain—have been rostered for the US and Canadian U-22 Team camps. 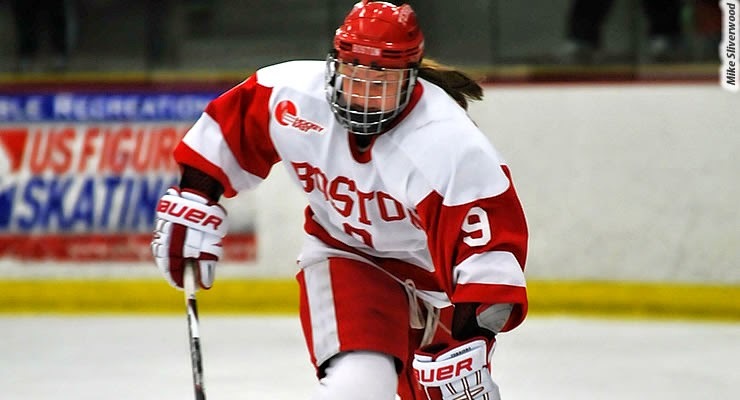 Louise Warren, who led BU to the 2014 Hockey East championship and graduated in May, along with Shannon Doyle, Sarah Lefort, Samantha Sutherland and two freshmen, Victoria Bach and Rebecca Leslie, have begun development camp in Calgary. Traveling to Lake Placid next week for USA Hockey’s Women’s National Festival is Maddie Elia, as well as BU assistant coach Katie Lachappelle.